Israel's parliament approved controversial legislation on Thursday that defines the country as the nation-state of the Jewish people, but critics warn that it marginalizes minorities. The government says the bill, passed in the early-morning hours, will merely enshrine into law Israel's existing character. Prime Minister Benjamin Netanyahu called its passage a "historic moment in the history of Zionism and the history of the state of Israel." "Israel is the nation state of the Jewish people, which honours the individual rights of all its citizens," he said. "I repeat, this is our state. The Jewish state. "Lately, there are people who are trying to destabilize this and therefore destabilize the foundations of our existence and our rights. So today we have made a law in stone. This is our country. This is our language. This is our anthem and this is our flag. Long live the state of Israel." Opponents of the new bill say it marginalizes the country's Arab minority of around 20 per cent and downgrades Arabic language from official to "special" standing. 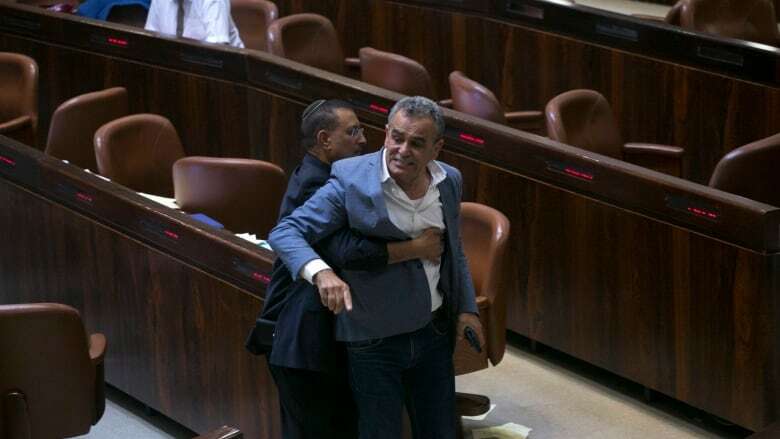 The law passed 62-55, with two members of the Knesset abstaining. The legislation, defined as a "basic law," granting it quasi-constitutional status, will likely face a challenge at the Supreme Court. Ayman Odeh, head of the Arab Joint List, pulled out a black flag and waved it during his speech, warning of the implications of the law. "This is an evil law," he told lawmakers. Odeh also said "a black flag hovers over it." 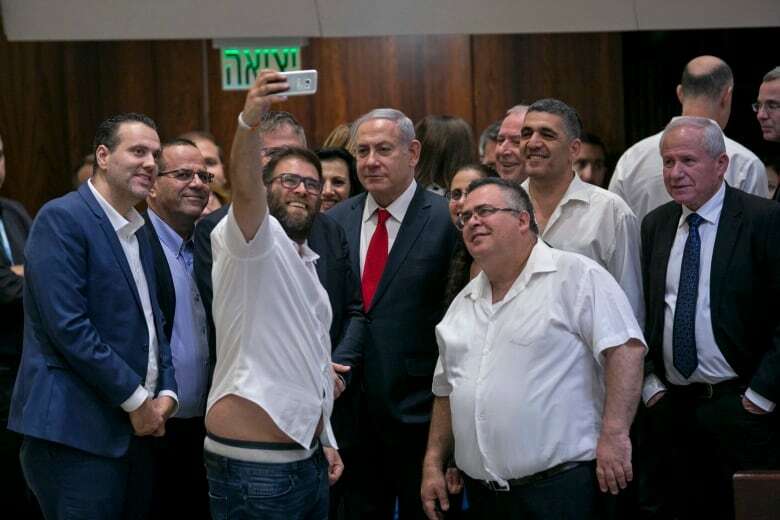 Benny Begin, son of Israeli prime minister Menachem Begin, the founder of Netanyahu's ruling Likud party, abstained from voting, warning of the party's growing disconnect from human rights. "This is not a decision I expected from the Likud leadership," Benny Begin said. Eugene Kontorovich, international law director at the Kohelet Policy Forum, a conservative Jerusalem think-tank, defended the bill, arguing it "is similar to provisions in many Western democratic constitutions, which provide for an official language and national character that reflects the majority of the population." American Jewish organizations also expressed their disapproval. The American Jewish Committee, a group representing the Jewish Diaspora, said it was "deeply disappointed," and the law "puts at risk the commitment of Israel's founders to build a country that is both Jewish and democratic." Lawmakers had removed the most contentious clause of the bill on Sunday that would have allowed the establishment of "separate communities" and that critics had called racist. Israelis, including President Reuven Rivlin, voiced opposition to the earlier draft of the bill. Israelis opposed to the bill, deeming it discriminatory, took to the streets to protest in large numbers on Saturday in Tel Aviv. The European Union said Thursday it was concerned about the new law, which it said would complicate a two-state solution to the Israel-Palestinian conflict. "We are concerned, we have expressed this concern and we will continue to engage with Israeli authorities in this context," a spokesperson for EU foreign affairs chief Federica Mogherini told a news briefing. "We've been very clear when it comes to the two-state solution. We believe it is the only way forward and any step that would further complicate or prevent this solution of becoming a reality should be avoided."